An estimated 15 to 19 million cases of sepsis occur annually worldwide. While the 28-day mortality rate from sepsis in high-income countries has declined to 25%—compared with 60% in low-income countries—in recent years thanks to more timely diagnosis and improved supportive care, the mortality rate from septic shock remains as high as 50%. Despite more than 100 phase II and III trials over the last 30 years of numerous novel pharmacologic agents and therapeutic interventions that were hoped to improve sepsis and septic shock outcomes, none resulted in the development of effective therapeutic approaches to sepsis. 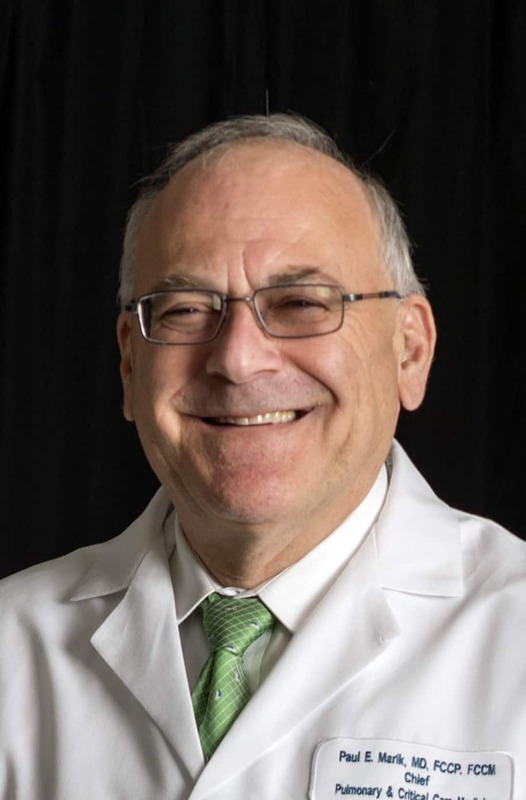 Based on experimental and emerging clinical data, as well as personal experience, Paul E. Marik MD, FCCP, FCCM, and colleagues conducted a study—published in Chest—to confirm the effectiveness of combination IV vitamin C, hydrocortisone, and thiamine in treating septic patients. “This was a retrospective before-after study,” says Dr. Marik. “We compared mortality among patients with severe sepsis and septic shock who had a procalcitonin greater than 2 ng/Ml and were treated with our ‘metabolic resuscitation protocol’ over 7 months with that of a matched group of patients in the previous 7 months who had received standard care (control group).” A propensity score was generated to adjust the primary outcome of hospital survival. Dr. Marik and colleagues found a hospital mortality rate of 8.5% in the treatment group, compared with a rate of 40.4% in the control group. Among patients treated with the vitamin C protocol, the propensity adjusted odds of mortality was 0.13. Sepsis-Related Organ Failure Assessment scores decreased for all patients in the treatment group, and none developed progressive organ failure. While patients treated with the vitamin C protocol were weaned off vasopressors an average of 18.3 hours after starting treatment, those in the control group had an average length of vasopressor use of 54.9 hours. Dr. Marik notes that the vitamin C protocol used in the study combines three readily available agents with no known side effects. “It is exceedingly cheap and has the potential to save thousands of lives,” he says. Because the study was a single center, non-randomized, retrospective study, randomized controlled trials are needed to confirm the benefits of the treatment protocol. Such trials are currently being planned in the United States and worldwide. In the meantime, Dr. Marik recommends that emergency clinicians consider using this therapeutic approach in patients presenting to the ED with severe sepsis or septic shock. “This protocol is exceedingly safe,” he adds. Marik P, Khangoora V, Rivera R, Hooper M, Catravas J. Hydrocortisone, vitamin C, and thiamine for the treatment of severe sepsis and septic shock: a retrospective before-after study. 2017;6:1229-1238. Available at http://journal.chestnet.org/article/S0012-3692(16)62564-3/fulltext. Tanaka H, Matsuda T, Miyagantani Y, et al. Reduction of resuscitation fluid volumes in severely burned patients using ascorbic acid administration: a randomized, prospective study. Arch Surg. 2000;135:326-331. Zabet M, Mohammadi M, Ramezani M, et al. Effect of high-dose ascorbic acid on vasopressor requirement in septic shock. J Res Pharm Pract. 2016;5:94-100. Marik P. “Vitamin S” (steroids) and vitamin C for the treatment of severe sepsis and septic shock! Crit Care Med. 2016;44:1228-1229. Paul Marik, MD, FCCP, has indicated to Physician’s Weekly that he has no financial interests to disclose. Why isn’t this standard of care already? A greater than 75% reduction in death from septic shock and we’ve got to do larger studies? The data on Vitamin C helping with sepsis has been around for decades, but Medicine has been loathe to allow for a vitamin helping. Never mind that septic patients have been documented to be deficient in vitamin C, as have post-surcigal critical care patients. Are we finally going get our heads out of our butts and see that nutrition and nutrients actually do have a place in saving lives? This is interesting. Traditionally in sepsis, treatment is directed towards irradicating the offending infection. Are you saying nutrition is beneficial in preventing further organ failure regardless of infection?